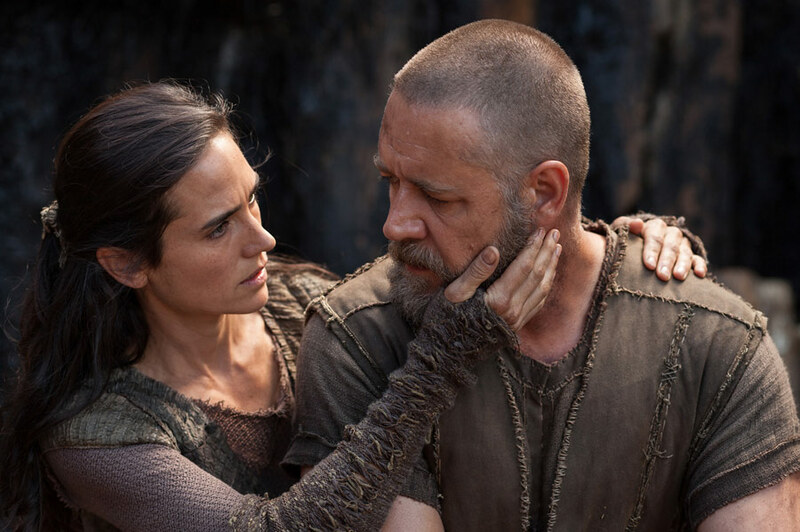 NOAH — gives a 2014 tweak to Everybody’s Favorite Bible Story, (bring on the hate mail) with middling results. 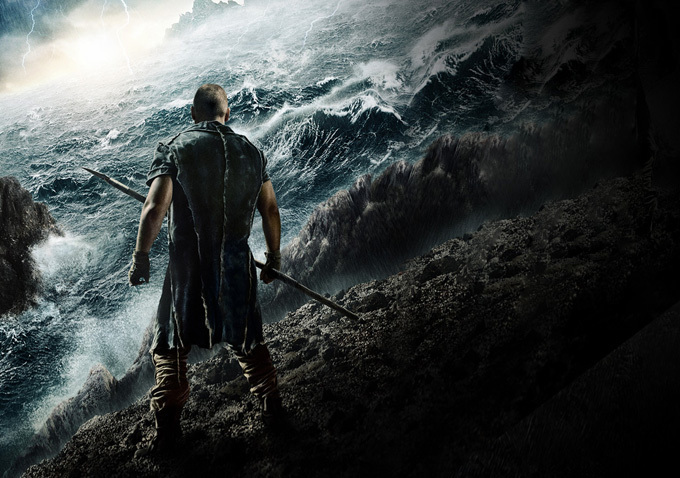 Directed by the viscerally imaginative Darrell Aronofsky (who co-wrote with Ari Handel) this opts to take a Biblically ‘influenced’ as opposed to traditionally literal spin, with Noah, robustly inhabited by the ever-able Russell Crowe, turned into an action figure at times (who knew there was so much hand-to-hand combat when the ark was about to launch? ), even with the beauteous influence of Jennifer Connelly (put her on my boat, God ) as his wife. So you’re saying there’s no room for the Johnsons? It’s not my fault you didn’t finish those swimming lessons. The swirling Bosch-nightmare mob scene of the degenerate human population of Sin-Planet is effectively conveyed, and it rings an obvious and dismaying parallel to our present greedy self-trap and death-wish. Subplot with Noah’s children (Ham, Shem, and wives) is blah. Religious groups (I’m not citing any because I frankly don’t care a whit), as could be expected, raised, uh–Cain, with some of the ways the story was handled, and the usual howling voices of “why did you do it like this! 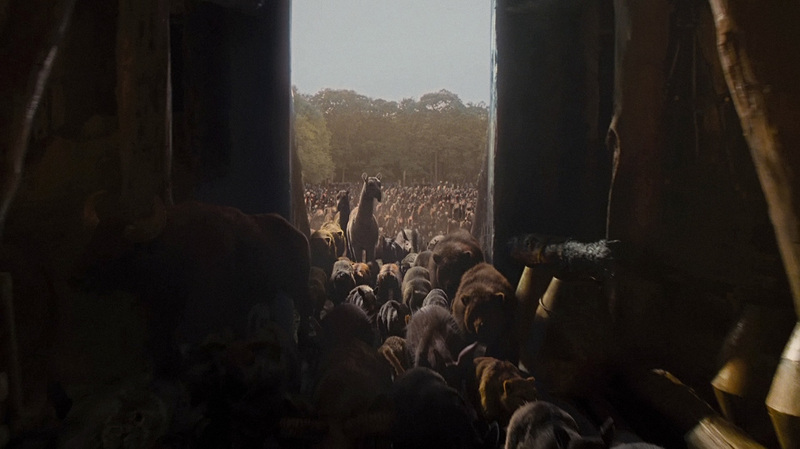 ?” screeched their lamentations unto the rafters, but the movie was a hit-and-a-half, whaling in $363,000,000 around this terminally ill, fearful, superstitious, spectacle-crazed, wondering, God-fearing orb of ours. So, raise your paw when your name is called. We don’t want to lose count and start again with aardvark. I was surprised that I enjoyed it as much as I did, even though it’s off-the-charts absurd. 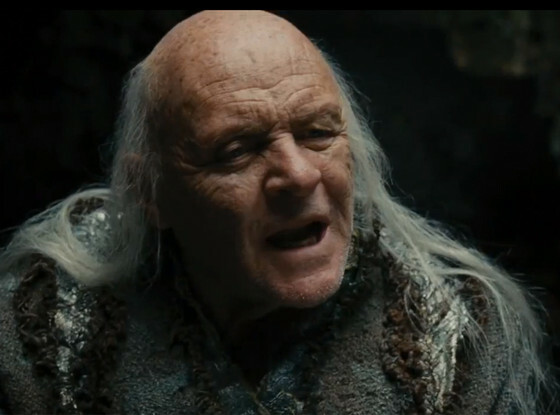 With Emma Watson, Logan Lerman and Douglas Booth–and none-other/who-else playing Methuselah but Anthony Hopkins. If you listen, you can detect the voices of Nick Nolte and Frank Langella among those rock creatures. 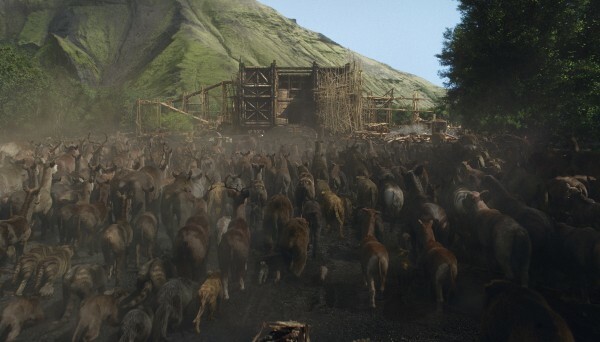 The $125,000,000 budget saw that enough shekels were rained on the wizards of Industrial Light & Magic to produce those incredibly complicated special effects that raise the stakes (and the ark) during 138 minutes of wrath. 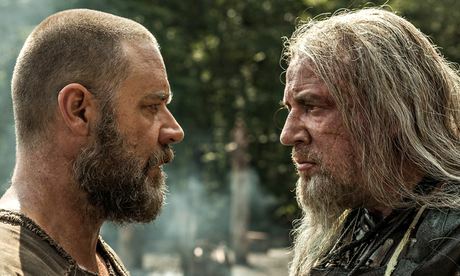 Crowe: “The funny thing with people being, they consider Noah to be a benevolent figure, you know? Looking after the animals. Are you kidding me? This is a dude who stood by and let the entire population of the planet perish!” Are you not entertained! ?